extraordinary power of visual art. and co-founder of Partners & Spade. lack of access to markets and a supportive and collaborative community. children,” said Spade, co-founder of Partners & Spade. 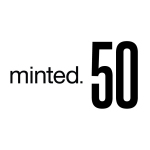 project will be revealed on Wednesday, March 15, at www.minted.com/50. to Pepsico and Def Jam. For more info, visit VGSNY.com. and women inspired by the lifestyles of artists.